You might be reading about the Litecoin (Altcoin) a lot these days. Numerous people are talking about Litecoin vs Bitcoin all over the internet. If you are amongst the people who are confused about what a Litecoin is and who wins the Litecoin vs. Bitcoin debate, we have it all covered for you. Read below to know everything about Litecoin. A Litecoin is a digital currency that is used all over the world to make various transactions. In more technical words, a Litecoin is a peer-to-peer cryptocurrency that was developed after Bitcoins to act as the silver to the Bitcoin gold. Litecoin can be used all over the world without the involvement of the banks in any kinds of transactions. The Litecoin vs Bitcoin debate goes on because both these are the same kind of cryptocurrencies that do not come under any jurisdiction. Hence no authority manages them. To follow the suit of the Bitcoin, Litecoin was released in 2011. It was developed by Charlie Lee and was released on GitHub.com. As already mentioned, Litecoin was developed as the silver to Bitcoin gold it forked out of the Bitcoin. In the beginning, it did not catch the attention of the users, and for the first one and a half year, its growth rate was less. However, during November 2013, the value of Litecoin showed a sudden hike in the next 24 hours. With this new advancement, there was no looking back for Litecoins. They became so huge that they were now a topic the Litecoin vs Bitcoin debate. You Might Like: How Does Blockchain Technology Work? Ever since November 2013 when the Litecoin crossed a $ 1 million capitalization, its growth has been fast and steady. The market capitalization numbers for Litecoin in November 2017 were $ 4,600,081,733. This incredible growth has made it the fourth largest and the most famous cryptocurrencies. Although it mostly loses the debate of Litecoin vs Bitcoin, the growth of Litecoin has been impressive over the years. The future of Litecoin is decided by its usability to the customers all over the world. The Litecoin is being preferred by more user with each passing day. The traders are seeing the fast-paced services of the Litecoin and are shifting to it in large numbers. It will not be long when the Litecoin vs Bitcoin debate does end by declaring Litecoin, the winner. Litecoin is emerging as one of the most reliable and less volatile cryptocurrency. Most of the places in the world have started accepting them as their currency. Litecoin vs Bitcoin- Which one is better? The transaction speed of the Litecoin is much higher than the Bitcoin. This happens due to the faster generation of the blocks. Additionally, a more significant number or Litecoins can be transacted in the smaller period in comparison to the Bitcoin. This point gives the Litecoin an upper hand in the Litecoin vs. Bitcoin debate. The total number of coins is fixed in both the cases and turns out that there are more Litecoin in the market than the Bitcoin. There are 21 million bitcoin and 84 million Litecoin that can be mined. The devices that are used to create Litecoin are much more challenging to develop than they are for Bitcoin. The reason for this is the usage of the complicated algorithm in the mining process. If all this discussion has sparked your interest in Litecoins and you want to try your hand at them, you can mine them. However, if you are not technologically advanced, and mining Litecoin is not your piece of cake, you can easily buy them at various websites. 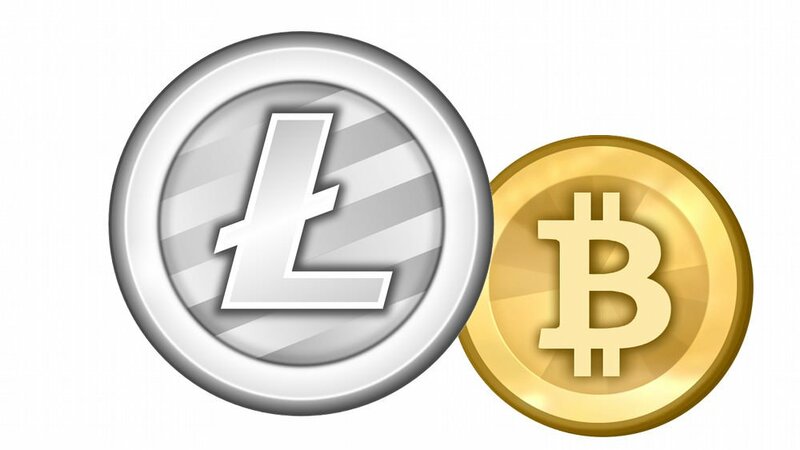 These websites are known as exchanges and provide the facility to buy the Litecoin in numerous currencies all over the world. The Litecoin when purchased is stored in a Litecoin wallet. These wallets have unique passwords for each and can be in the form of a website or a mobile application. The Litecoin you have purchased can be used to make end-to-end transactions without the interference of any third party. Additionally, you can also trade your Litecoin and gain profit from them. The prices of the Litecoin keeps changing from time to time and if you want to have some benefits, buying the Litecoin for a lesser price and selling it for a more significant price is the best possible solution. Litecoin is a very useful cryptocurrency and can be used in the place of any other currency in the world. With the feature of the fast transaction without the interference of a third party like a bank, this can also be the most accessible digital currency of all times.